In the summer of 1958, Joan Chandos Baez, a 17-year old high school graduate (by the skin of her teeth) moved with her family – her parents Albert and Joan, older sister Pauline and younger sister Mimi – from Palo Alto to Boston. They drove cross-country with the Kingston Trio’s “Tom Dooley” all over the radio, a guilty pleasure of Joan’s. She was an entering freshman at Boston University School Of Drama, where she was surrounded by a musical group of friends who shared a passion for folk music. A stunning soprano, Joan’s natural vibrato lent a taut, nervous tension to everything she sang. Yet even as an 18-year old, introduced onstage at the first Newport Folk Festival in 1959, her repertoire reflected a different sensibility from her peers. In the traditional songs she mastered, there was an acknowledgment of the human condition. She recorded her first solo LP for Vanguard Records in the summer of 1960, the beginning of a prolific 14-album, 12-year association with the label. Her earliest records, with their mix of traditional ballads and blues, lullabies, Carter Family songs, Weavers and Woody Guthrie songs, cowboy tunes, ethnic folk staples of American and non-American vintage, and much more – won strong followings in the US and abroad. Among the songs she introduced on her earliest albums that would find their ways into the repertoire of 60’s rock stalwarts were “House Of the Rising Sun” (the Animals), “John Riley” (the Byrds), “Babe, I’m Gonna Leave You” (Led Zeppelin), “What Have They Done To the Rain” (the Searchers), “Jackaroe” (Grateful Dead), and “Long Black Veil” (the Band), to name a few. “Geordie,” “House Carpenter,” and “Matty Groves” inspired a multitude of British acts who trace their origins to Fairport Convention, Pentangle, and Steeleye Span. In 1963, Joan began touring with Bob Dylan and recording his songs, a bond that came to symbolize the folk music movement for the next two years. 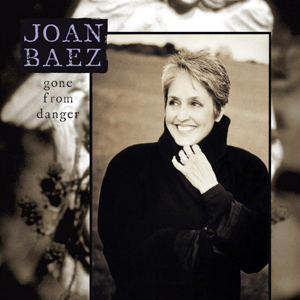 At the same time, Joan began her lifelong role of introducing songs from a host of contemporary singer-songwriters starting with Phil Ochs, Richard Fariña, Leonard Cohen, Tim Hardin, Paul Simon, and others. Her repertoire grew to include songs by Jacques Brel, Lennon-McCartney, Johnny Cash and his Nashville peers, and South American composers Nascimento, Bonfa, Villa-Lobos, and others. At a time in US history when it was neither safe nor fashionable, Joan put herself on the line countless times, and her life’s work was mirrored in her music. She sang about freedom and Civil Rights everywhere, from the backs of flatbed trucks in Mississippi to the steps of the Lincoln Memorial at Rev. Dr. Martin Luther King’s March on Washington in 1963. In 1964, she withheld 60% of her income tax from the IRS to protest military spending, and participated in the birth of the Free Speech movement at UC Berkeley. A year later she co-founded the Institute For The Study Of Nonviolence near her home in Carmel Valley. In 1966, Joan Baez stood in the fields alongside Cesar Chavez and migrant farm workers striking for fair wages, and opposed capital punishment at San Quentin during a Christmas vigil. The following year she turned her attention to the draft resistance movement. In 1968, she recorded an album of country standards for her then-husband David Harris. He was later taken into custody by Federal marshals in July 1969 and imprisoned for 20 months, for refusing induction and organizing draft resistance against the Vietnam war. As the war escalated, Joan traveled to Hanoi with the U.S.-based Liaison Committee and helped establish Amnesty International on the West Coast. In the wake of the Beatles, the definition of folk music – a singer with an acoustic guitar – broadened and liberated many artists. 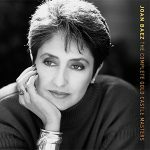 Rather than following the pack into amplified folk-rock, Joan recorded three remarkable LPs with classical instrumentation. Later, as the ’60s turned into the ’70s, she began recording in Nashville. The “A-Team” of Nashville’s session musicians backed Joan on her last four LPs for Vanguard Records (including her biggest career single, a cover of the Band’s “The Night They Drove Old Dixie Down” in 1971) and her first two releases on A&M. Within the context of those albums and the approaching end of hostilities in Southeast Asia, Joan turned to the suffering of those living in Chile under the rule of Augusto Pinochet. To those people she dedicated her first album sung entirely in Spanish, a record that inspired Linda Ronstadt, later in the ’80s, to begin recording the Spanish songs of her heritage. One of the songs Joan sang on that album, “No Nos Moveran” (We Shall Not Be Moved) had been banned from public singing in Spain for more than forty years under Generalissimo Franco’s rule, and was excised from copies of the LP sold there. Joan became the first major artist to sing the sung publicly when she performed it on a controversial television appearance in Madrid in 1977, three years after the dictator’s death. 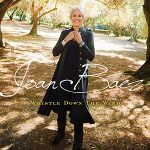 In 1975, Joan’s self-penned “Diamonds & Rust” became the title song of an LP with songs by Jackson Browne, Janis Ian, John Prine, Stevie Wonder & Syreeta, Dickey Betts of the Allman Brothers Band – and Bob Dylan. His Rolling Thunder Revues of late 1975 and ’76 (and resulting movie Renaldo & Clara, released in 1978) co-starred Joan Baez. In 1978, she traveled to Northern Ireland and marched with the Irish Peace People, calling for an end to violence. She appeared at rallies on behalf of the nuclear freeze movement, and performed at benefit concerts to defeat California’s Proposition 6 (Briggs Initiative), legislation that would have banned openly gay people from teaching in public schools. Joan received the American Civil Liberties Union’s Earl Warren Award for her commitment to human and civil rights issues; and founded Humanitas International Human Rights Committee, which she headed for 13 years. She won the San Francisco Bay Area Music Award (BAMMY) award as top female vocalist in 1978 and 1979, and a number of film and video and live recordings released in Europe and the U.S. documented her travels and concerts into the ’80s. In 1995, Joan received her third BAMMY as Outstanding Female Vocalist. Joan’s nurturing support of other singer-songwriters came full circle with her next album, Ring Them Bells. This idea of collaborative mentoring was expanded on 1997’s Gone From Danger, where Joan was revealed as a lightning rod for young songwriting talent, with compositions from Dar Williams, Sinead Lohan, Kerrville Music Festival newcomer Betty Elders, Austin’s The Borrowers, and Richard Shindell (who went on to tour extensively with Joan over the years). The release of Dark Chords On a Big Guitar in September 2003 was supported with a 22-city U.S. tour. On October 3rd, Grammy Award-winning classical guitarist Sharon Isbin presented her debut performance of The Joan Baez Suite, Opus 144. 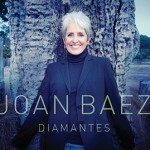 Written for Isbin by John Duarte and commissioned by the Augustine Foundation, the piece featured songs from Joan’s earliest days in folk music. 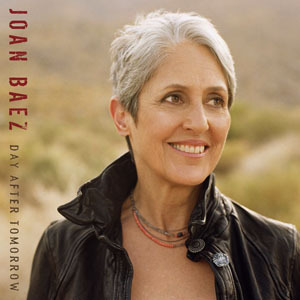 On the night of February 11, 2007, at the 49th annual Grammy Awards telecast viewed by more than a billion people worldwide, it was announced that Joan Baez had received the highly prestigious Lifetime Achievement Award, the greatest honor that the Recording Academy can bestow. In turn, she introduced the live performance of “Not Ready To Make Nice” by dark horse nominees the Dixie Chicks. It was an ironic moment, as Joan’s ‘lifetime’ of activism resonated in sync with the trio. They had been blacklisted by country radio and the Academy Of Country Music (ACM) when they criticized the President and the impending war in Iraq back in March 2003. On Saturday, June 28, 2008, Joan was seen by countless tv viewers worldwide at the 46664 event in London's Hyde Park, celebrating Nelson Mandela's 90th birthday. After appearing with Johnny Clegg and the Soweto Gospel Choir singing "Asimbonanga," Joan later stood center stage behind her friend Mandela when he addressed the assembled crowd of 46,664 people. The event coincided with the annual Glastonbury Music Festival that same weekend, where Joan was also performing. 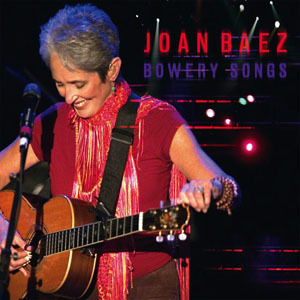 In 2009, the television documentary entitled, "Joan Baez: How Sweet The Sound" was released to critical acclaim worldwide. The DVD also includes the original Soundtrack with material spanning Joan's career, including many rare, previously unreleased performances. 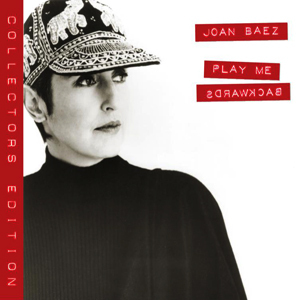 Play Me Backwards is said to be the album that began the renaissance of Joan Baez’s career that has continued through 2008’s Grammy-nominated Day After Tomorrow. Proper has re-issued this in a special deluxe 2011 edition. Adding historic provenance to the album is a second disc containing previously unreleased demos of 10 songs which were contemplated by Joan and her producers, heard here for the first time. Baez remains a musical force of nature whose influence is incalculable - marching on the front line of the civil rights movement with Martin Luther King, inspiring Vaclav Havel in his fight for a Czech Republic, singing on the first Amnesty International tour and just this year, standing alongside Nelson Mandela when the world celebrated his 90th birthday in London’s Hyde Park. She brought the Free Speech Movement into the spotlight, took to the fields with Cesar Chavez, organized resistance to the war in Southeast Asia, then forty years later saluted the Dixie Chicks for their courage to protest war. Her earliest recordings fed a host of traditional ballads into the rock vernacular, before she unselfconsciously introduced Bob Dylan to the world in 1963 and focused awareness on songwriters ranging from Woody Guthrie, Dylan, Phil Ochs, Richard Fariña, and Tim Hardin, to Kris Kristofferson and Mickey Newbury, to Dar Williams, Richard Shindell, Steve Earle and many more.